It was announced in August, and rolled out by Google on October 10 to give advertisers time to review their reports, filters, rules and scripts that rely on Quality Score. As described by Google, Quality Score is an estimation of the quality of your keywords, ads and landing pages. This is represented in the keyword analysis field in your account as a score out of 10, with 10 being the highest score possible. Previously, AdWords would assign any new keywords or keywords without recent activity a default Quality Score of ‘6’. This could prove to be problematic for any advertiser relying on QS reports, filters, rules or scripts as it would skew results. 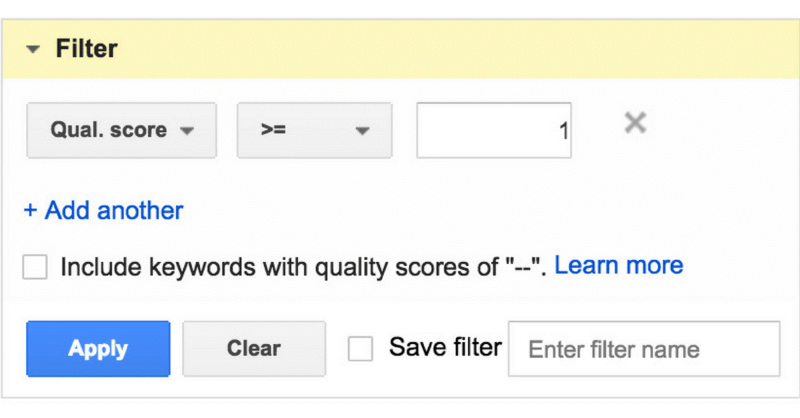 As of October 10, Null Quality Scores have been implemented across all AdWords accounts. This means that any keywords which are deemed to be ‘low performing’ (e.g. either new keywords or keywords with no recent activity) will be reporting “–” instead of a Quality Score. With this change, marketers can expect to find a larger number of keywords without Quality Scores in their accounts, even if they have driven traffic and conversions within the last few months. Bidding scripts, rules and scripts that rely on Quality Score reporting to make changes will be affected the most and will need to be reviewed. For more information on Google’s Null Quality Scores, contact Performics today.